Occurring at a time when the Federal Government was moving to restrict Native Title rights and not genuinely supporting reconciliation, it was always about the broader community standing in solidarity with First Peoples. The Sea of Hands was the birth of ANTaR, which 20 years later, still holds to that same approach of working with First Peoples for justice, rights and respect. The work of ANTaR is more relevant than ever, with government approaches still failing to properly engage with and listen to Aboriginal and Torres Strait Islander people on addressing the issues impacting on their lives. We’ve seen incarceration rates increase from seven times the rate of non-Indigenous Australians to 13 times since the Royal Commission into Aboriginal Deaths in Custody more than 25 years ago, Aboriginal and Torres Strait Islander people can still expect to die on average 10 years earlier than other Australians, with one in three experiencing racial abuse in the last 6 months. ANTaR is about working with Aboriginal and Torres Strait Islander people and organisations to try to make these issues national priorities for government, rather than cut funding for services and pay little heed to Aboriginal and Torres Strait Islander voices. While ANTaR’s work is more relevant than ever, there has been some positive progress over the past 20 years, particularly in terms of awareness and support for First Peoples. More than 300,000 Australians have participated in the Sea of Hands movement, over 200,000 have signed the Close the Gap Campaign pledge, and over 600 corporate, community and government organisations have developed a Reconciliation Action Plan. There are more Aboriginal and Torres Strait Islander people than ever graduating in a range of fields at university, more businesses employing them, more businesses springing up that are owned and run by First Peoples, and of course more Aboriginal and Torres Strait Islander people in parliaments around the country. There is still an enormous amount to do, but it’s important not to lose sight of these positive changes and to build on them. 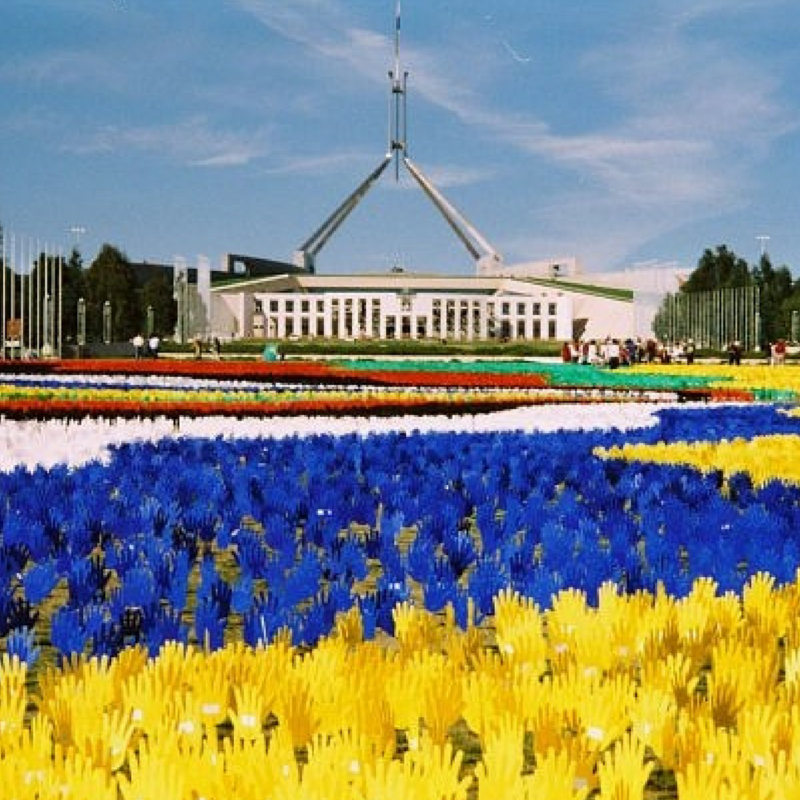 We will be back on the front lawn of Parliament House, Canberra on November 27 with a fresh installation. Stay tuned for updates and send us a message if you’re interested in getting involved. Thank you again for your support of ANTaR and the Sea of Hands.